Inside Out; or, an Interior View of the New-York State Prison, printed in New York in 1823, was a political autobiographical account by former lawyer and ex-convict William Coffey, which described the conditions and procedures of Newgate Prison. Despite commercial failure, the book retrospectively offers important historical insight into the corruption that pervaded at the penitentiary through the lens of an outspoken and articulate convict. The book is organized into eleven chapters: building, officers, convicts, internal punishments, crimes, sentences, labor, diet, hospital, pardons, and prison accounts. Each describes the corruption and inefficiency in one aspect of the prison procedure. In this essay, I detail and evaluate Coffey’s analysis of labor sentences and the system of labor at Newgate Prison. In his analysis of the conditions of Newgate Prison between 1819 and 1822, former convict and author William Coffey critiques the labor system to which convicts were subject. He castigates hard labor as a failed form of economic punishment, a deeply flawed effort toward societal compensation and reformation of criminals. Coffey had spent his four years of incarceration working, first as a weaver for over a year with rough flannel to make shirts for the convicts, then as a clerk for another year, and lastly as an accountant for the final fifteen months of his incarceration, arranging and preparing prison accounts. Though Coffey deeply disliked and distrusted the officers for whom he worked, over time he became well-adjusted to the routine of labor. Coffey’s argument against labor is not based on personal dislike but rather on its limited economic and social value. He contrasts it with his argument for its alternative, solitary confinement, which replaces activity and sociality with deep reflection and grieving remorse. Coffey describes the labor system at Newgate to be inefficient, both morally and economically, failing to suitably punish the inmates or compensate for the cost of their incarceration, insufficient as a method of education, and economic sustainability and failed in its efforts toward the rehabilitation of criminals. Yet Coffey reveals the limited extent of the mechanical education received by inmates at Newgate Prison. Reformers were under an impression that labor would provide convicts with a suitable source of income, one which was practical, sustainable, and most importantly, legal. Yet Coffey estimates that there were only a few skilled workmen among the convicts and that their skills were learned prior to incarceration. Many prisoners worked several different trades throughout their time in prison, switching between weaving, shoe-making, locksmithing, comb-making, coopering and carpentering. Under the pardoning system, few prisoners spent more than four years in the penitentiary, which was hardly sufficient for mastery in any one skill. According to Coffey, prisoners were less focused on their technical education than they were in their liberation. A convict “derives no benefit for work – he labors by coercion – and he is indifferent about learning.”[iii] This disinterest was reinforced by quotas, which favored the quantity of goods produced over their quality. Convicts were required to manufacture certain quantities of a product, and faced punishment upon failure, fed only bread and water until they acquired the demanded expediency. Coffey himself was subject to this punishment when first assigned weaving, a subject for which he was entirely unfit due to his near-sightedness. He was instructed to weave fine yarn and his complaints of difficulty with the task were met with wrathful rebuke and punishment. Convict-Superintendents would accuse criminals before the Principal Keeper, as if in a court of law, and the convict would receive a “sentence” accordingly. Consequently, Convict-Superintendents were insufficient instructors and the disgruntled convict workers proved poor listeners, resenting the favoritism toward their supervisors and viewed them with suspicion, as agents of the keeper. They rejected the arbitrary authority of Superintendents and mostly ignored their instruction, preventing their own education in a trade.Keepers served only to watch and discipline the convicts in a shop, which Coffey dubs the “arduous duty of doing nothing.”[v] Coffey admits that there might be some potential in mechanical education if the “keeper of every workshop were an experienced and able mechanic, and the Convicts were constrained to the steadfast pursuit of some one trade, chosen at their admission into the prison, and exercised within it, under the immediate instruction of such keeper.”[vi] Convicts taught by unskilled, sycophantic convicts remained unlearned, and the labor system remained deeply flawed. [viii]With a locksmith’s education, the prisoners could easily learn to make skeleton keys or “dubs”, as termed by the prison vernacular. Coffey recalls the ardor of one prisoner who swore to never request pardons if allowed to continue his contract as a locksmith, intending to “dub” every wealthy store in along the American coastlines and strip them of their valuables upon his liberation. Without a locksmith’s education, burglars would have to take an imprint of the key or its pattern using a soft putty and hire a locksmith to fashion an appropriate copy. This tactic was more costly, inefficient, and dangerous for a former convict, especially one with a stained reputation who might fear discovery. Expertise in locksmithing eliminated this risk and Coffey describes the snickers and mockery by convicts against the supposedly “wise” Inspectors who assigned them an education that would facilitate their criminal activity. Coffey describes the “convicts boasting of their having dubbed…the locks of twenty or thirty stores and dwellings in the course of one evening; of having entered them, and carried away, whatever suited their purposes.”[ix] Coffey questions the wisdom of Inspectors who expedited their criminal activity as a punishment and a form of reformation. In addition to its moral inefficiency, Coffey highlights the economic inefficiency of the Newgate labor system. The work of convicts was crude and the quality of manufactured goods poor. In the weaving workshops, convicts would color yarn too soon, burning it with the acids in the dye and rendering it entirely unfit for use. Convicts emboldened by the general negligence of the State, occasionally pilfered some of the manufactured products, typically without consequence or notice. The Superintendents and Keepers also profited at the cost of the State. In the weaving department, Keepers often received seven or eight yards of yarn from the superintendents, upon the purchase of only two or three. The “generosity” of the sycophantic Convict-Superintendents would go unreported by the Keepers “for if he lisped a single word on the subject, the Convict-Superintendent, who had made his duty subservient to his generosity, would have been displaced and exemplarily punished; and the family of the keeper must have assuredly suffered, to the value of the cloth.”[x] Superintendents in the department often mixed course yarn with a quantity of fine yarn for the purchases of Keepers and other prison officials of rank or import or rewarded them with an extra roll of cloth, a coat, or a pair of shoes, all at the expense of the State. The quality of the goods and the corruption of officers resulted in an inefficient and ineffective process, one which hardly compensated the cost of feeding, clothing, and housing prisoners for the lengthy durations of their sentences. The 1817 contract system did little to mitigate economic difficulty, and by 1818, profits fell to $16,000, despite a $58,000 cost for food and maintenance. In Coffey’s first year in the prison, the failure of a shoemaking contractor resulted in the unemployment of countless inmates in an event known as the “Panic of 1819.” Though it was resolved in a new agreement three months later, concessions were made, effecting a 40% decrease in payment rates. The failure of the contract system continued and in 1821, less than half of the industries at Newgate were externally contracted. [xiii] Coffey’s castigation of the prison’s financial status was particular to his period there but also representative of a general decline, one with which he was acquainted as a convict and clerk at the prison. Coffey relates his criticisms of the labor system to his argument for solitary confinement, describing it as conducive to conversation among prisoners and the spread of criminal vice. Despite prohibition against conversation during labor, the enforcement was ineffective and influence was enabled. While Coffey admits that hard labor may seem odious to those outside of the prison, he states that the convicts hardly disliked it. 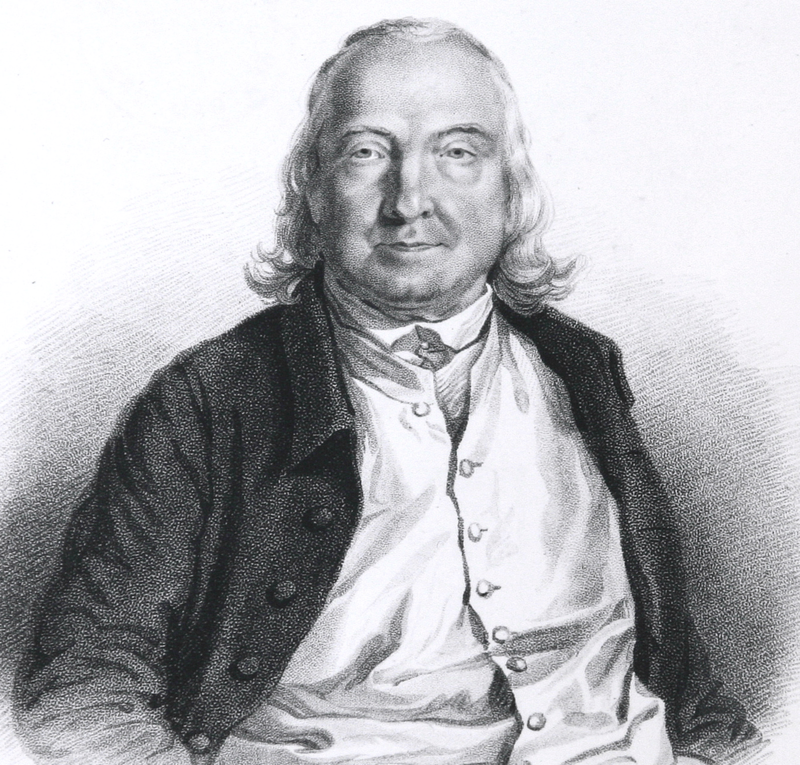 The dread experienced upon the sentence of convicts dissipated gradually with time and labor served as a poor deterrent for criminality, serving instead to facilitate its spread.He admits his admiration for the general philosophies that inspired the labor system of penitentiaries, those devised by social reformers Bentham, Pastoret, Colquhoun, Burgh, and Beccaria whose “suggestions are fraught with learning, with wisdom, and with genuine philosophy” but he doubts their practicality; his own opinions are based on “the wretchedness of experience.”[xiv] Reflection is lost in the routines of physical work, morality is lost through conversation, and reformation is prohibited by the spread of immorality, criminality, and vice. [i] Coffey, William, Inside Out, Or, An Interior View of the New-York State Prison. (New York: Printed for the author, and sold by J. Costigan, 1823), 151. [vii] W. David Lewis, From Newgate to Dannemora: The Rise of the Penitentiary in New York, 1796-1848 (Ithaca: Cornell University Press, 1965), 13. [viii] Coffey, Inside Out, 141. [xi]David Lewis, From Newgate to Dannemora, 10. [xiv] Coffey, Inside Out, ix. Figure 1: Title Page of Inside Out. Digital Image. From: William Coffey. Inside Out, Or, An Interior View of the New-York State Prison. New York: Printed for the author, and sold by J. Costigan, 1823. Figure 2: Workers at the Loom. Digital image. Jane Austen’s World. 2008. Accessed November 29, 2016. https://janeaustensworld.wordpress.com/2008/10/08/a-snapshot-in-time-the-diet-of-18th-century-handloom-weavers/. Figure 3: Inside Newgate. 1845. George Cruickshank. Figure 4: Joseph Caraud, Louis XVI. And the Locksmith. 1867, Original Engraving, 24 x 30 cm. Meiwes, Stuttgart, Germany. From: AbeBooks.com, https://www.abebooks.com/Louis-XVI-Locksmith-Joseph-Caraud-Exhibition/12672853155/bd (accessed December 1, 2016). Figure 5: Causer, Tim. “Jeremy Bentham.” Digital image. Transcribe Bentham. March 27, 2013. Accessed November 30, 2016. http://blogs.ucl.ac.uk/transcribe-bentham/.